Created by a chemist in 1933 the iconic brand Formula 10.0.6 made their first hero product, a body lotion that would be purchased by the gallon. Fast forward 80 years and they are now a world-renowned skincare brand, trusted at perfecting troublesome skin with natural ingredients that are almost good enough to eat. In September 2018 for the first time in the brand’s history, they introduced a new range of skincare innovations specifically targeting the body. Their sweet-smelling body care collection is bursting with fresh botanicals and essential oils to create balance and provide the skin with a clear and healthy glow. Today I am featuring two must-have products that are now a staple in my body care routine. Free from parabens, sulphates and artificial colours, FORMULA 10.0.6 Body Care range rejuvenates the skin without stripping it of its natural moisture. 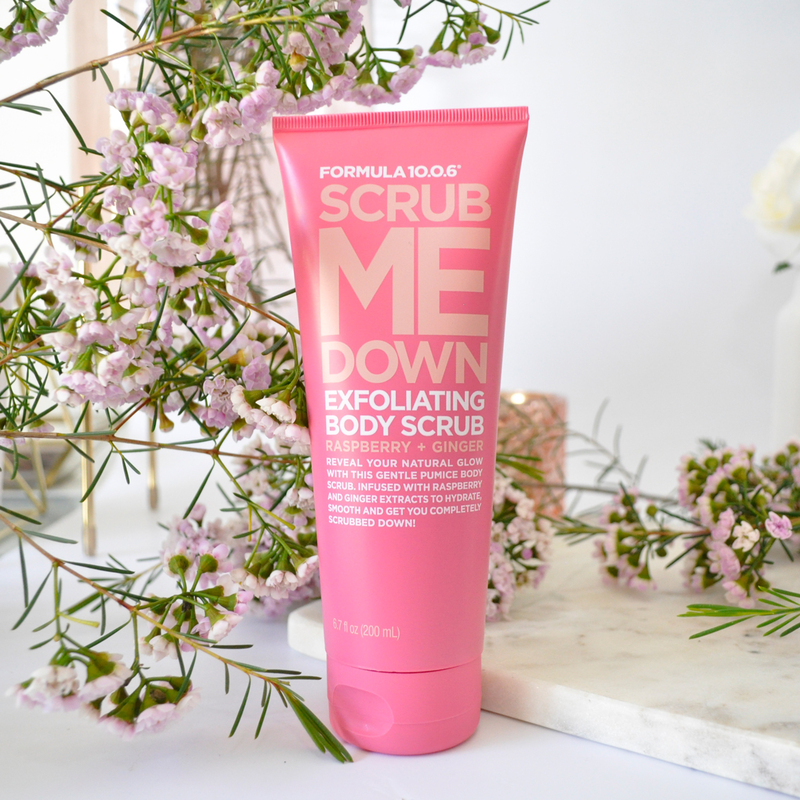 Infused with Rasberry and Ginger extracts to hydrate, smooth and get you completely scrubbed down, this gentle pumice body scrub will buff and polish your tired skin to smooth and radiant perfection. The luxurious formula which comes in a handy tube makes for an indulgent shower/bath. 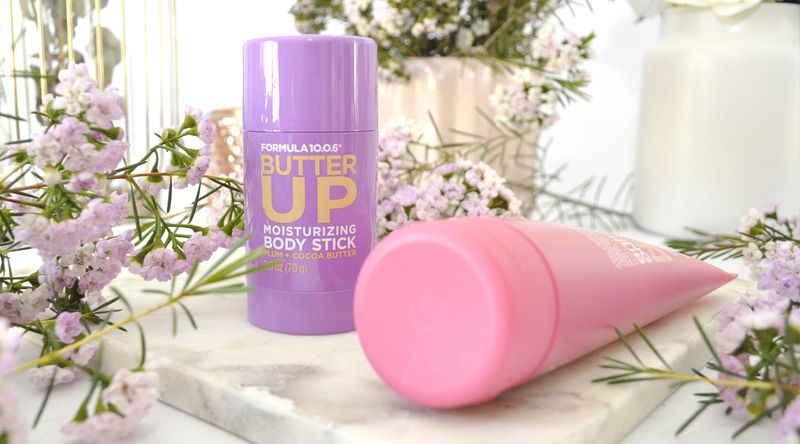 It gives my body a smooth, silky finish and leaves my skin feeling more nourished. How to use: Squeeze into the palm of your hand and gently massage onto wet skin in circular motion. Rinse thoroughly, dry then apply your favourite moisturiser. FORMULA 10.0.6 is the ultimate fresh-face solution and is recognised by many as a trusted leader in teenage skincare. This rich and creamy moisturizing body stick is enriched with the dreamy scent of plum and the deep hydration of cocoa butter to soften, replenish, and comfort the skin. I absolutely love the packaging, it’s compact and easy to glide on the skin for convenient on-the-go hydration. I find it absorbs fairly quickly and makes my skin stay soft and smooth all day. I can definitely recommend this body stick, particularly for those with dry skin. 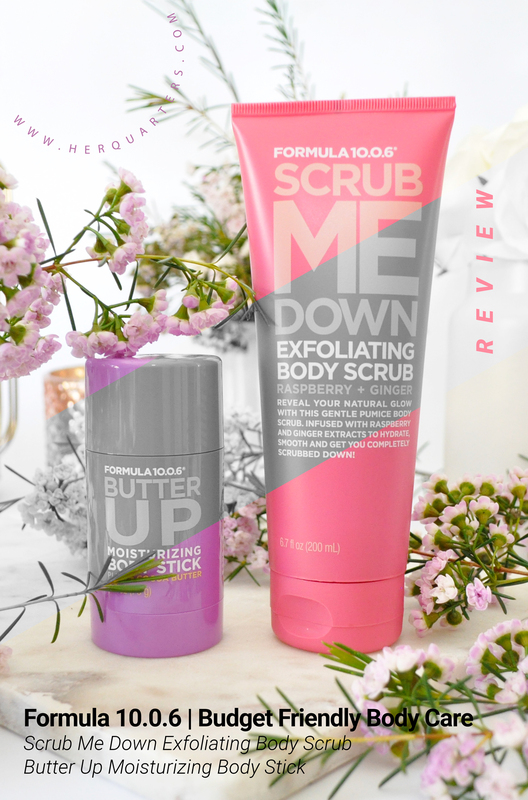 Price: Formula 10.0.6 Scrub Me Down Exfoliating Body Scrub | 200 ml | $11.99 AUD – Formula 10.0.6 Butter Up Moisturizing Body Stick | 70g | $11.99 AUD – FORMULA 10.0.6’s Body Care range start from RRP $8.99, through to RRP $11.99, you’ll find them at Target. Have you tried Formula 10.0.6? What products do you like to use to rejuvenate your skin? Let me know in the comments below. They were the first skincare brand I ever used on my face – I didn’t know they had a body range so I’ll be checking that out! 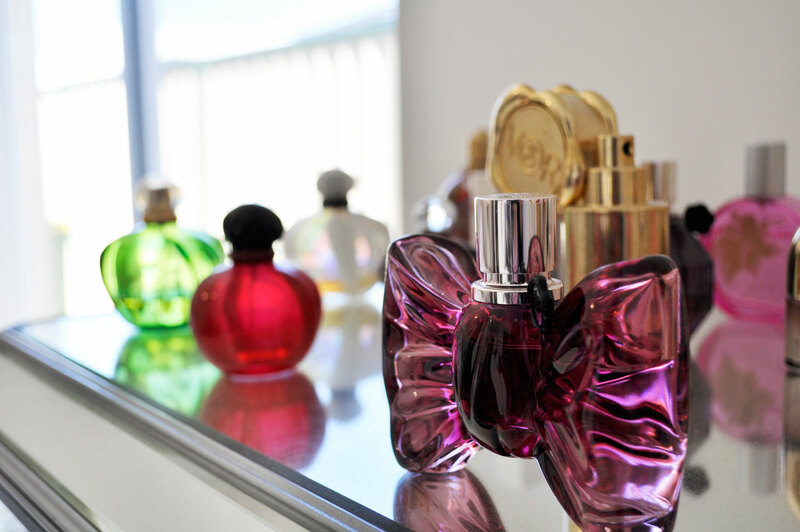 Ohh new products for me! I love their face masks but haven’t tried these. Their face masks are awesome! I used the Deep Down Detox Mud Mask the other day, it was so good! That body stick sounds beautiful! I need to try! I haven’t used this brand for ages, I’m not sure why as I remember loving their products in the past.